24/7 Of Non Stop Amazing Techno Music ! 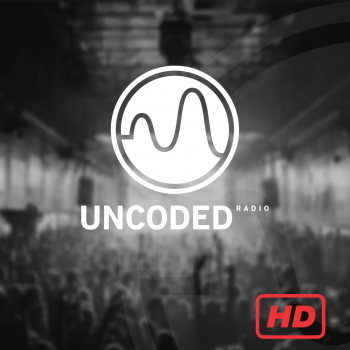 Uncoded Radio, is a radio station with the aim of bringing together all the actors of the Techno scene, to discover its origins abroad with a real musical culture, from Detroit to Berlin and the underground style of London. Having been programmed for 24 hours a day, it is a selection of more than 3,000 tracks, new and classic, updated every day but it is also themed playlists, special shows, direct from festivals, interviews. You have a title request for Uncoded Radio ? Enter with the help of the search field the artist and the title. Enter your email, a radio presenter will inform you of the programming of the title. By submitting this form, I accept that the information entered will be exploited as part of sending information about Uncoded Radio. All info of Uncoded Radio delivered in your box ! SUBSCRIBE TODAY *By submitting this form, I accept that the information entered will be exploited as part of sending information about Uncoded Radio. © 2018-2020. Uncoded Radio ® - All rights reserved. These cookies make it possible to establish statistics of attendance of our services. Disabling them prevents us from monitoring and improving the quality of our services. These cookies are associated with video & audio players integrated with our services. Disabling them can prevent broadcasting via these players. These cookies allow you to analyze your browsing and define your interests to offer you more relevant advertisements. Disabling them has no impact on the amount of advertising you receive. These cookies allow you to share content with other people or to make known your consultation or your opinion ("Like" buttons). Disabling them can prevent you from connecting to your social network.